Last week we operated a special flight with Falcon 900 to the remote island of Ascension, in the middle of the Atlantic ( 1500 km from the African coast, more than 2000km from the brazilian coast). We are thrilled that we could make this one happen as this is one of the very few Falcon 900 public transport flight landing to this island. Obtaining the traffic rights and landing permits was not the easiest part of the flight and would like to thank warmly Master jet that helped us in making the flight happens. Our executive flights manager ,Philippe Bina, dedicated also a lot of patience and phone calls. That kind of flight is a big motivation for us and one of the main reason we love our job: explore new flights, new routes, new horizon; big challenges and make them happen, you know when everyone say “it is not possible”, and in the end you succeed. Once again Eurosky corporate solutions has been very active this summer on the charter market. We have Chartered more than 113 commercial and private flights over the months of July and august delivering a high quality of service all summer through. We have to put forward that 60 % of our destinations or origins have been Ibiza Airport. Mykonos as well Has been very demanded. 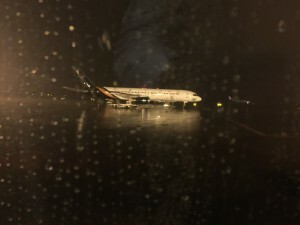 One of the main reason explaining this fact is the lack of regular flights and good connection comparing to the high demand in the summer season. We have been operating business flights , pre season football flights, Holidays flights. 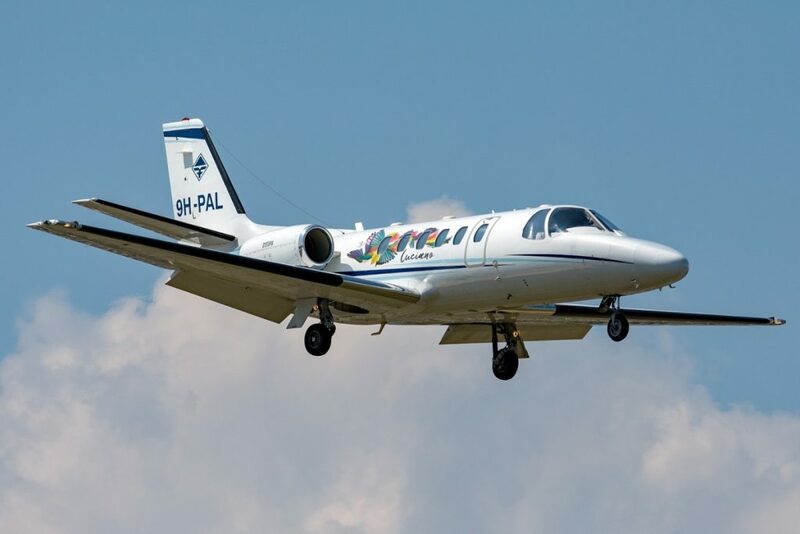 Thanks to the good partnership with Maleth Aereo we have been transporting a famous dj during the whole summer season in the same dedicated Jet. Fort he 5th consecutive year we have been handling his flights but this time with a dedicated jet for all flights ( a citation bravo) with a special logo that have been very popular on the Ibiza airport. All flights have been operated with success thanks to the professional team behind the jet; we would like to thank Victor and the crew ( Alberto, Rafael, Francisco) for their great work that went above expectations. All our team and expertise is at your service if you need such a service for one of your artist or band. From a single flight to a world tour, Eurosky is your key contact for logistics. What is the cost of a private jet charter? What is the Price of a private jet charter? How much does it cost to travel on board of a private jet? There are lots of common belief about that subject, like thinking that this is a privilege that can only afford a few amongst the richest persons on planet Earth. –	The two main ones are the size of the aircraft and the duration of the flight. The size/weight of the jet (from very light to ultra long range jet and Coporate airliners): to determine the size of the jet you need to know the number of passengers, the quantity of luggage, but as well the duration of the flight. 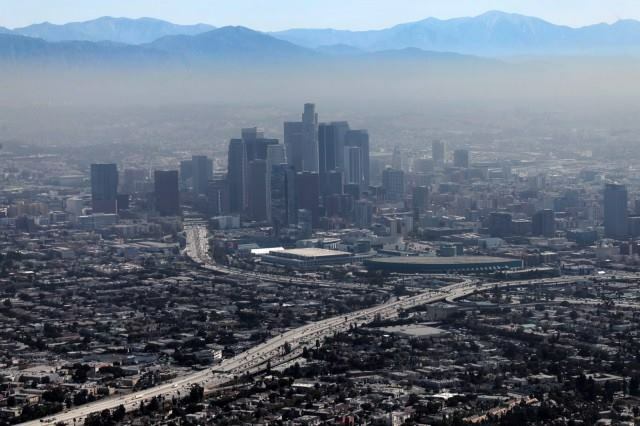 It is easily understandable that the more passengers, the farther you need to fly without stop, the more luggage you have, the more expensive will cost your private jet flight. This explains why the range of prices can be from 1.100 euros / hour with a small turboproppeller up to 20.000 euros / hour with a Boeing business jet. –	Another aspect that has an effect on prices is the duration of your stay at destination. If the stay is short ( a few days maximum), the operator can leave the aircarft parked at destination, this means less flying hours for your jet, meaning a smaller Price. To maintain your private jet parked at destination you need to know in advance if th airport can grant you a long stay parking. As a professionnals of aviation, Eurosky staff anticípates that kind of technical details to avoid unexpected cost. Some airports are heavily restricted during high season (Ibiza, mikonos airport have the worst procedure in that field), and moving your jet to the closest airport with parking availability can cost you a mínimum of 1 hour extra. Charter flight for a group of Spanish tourists to Krakow. Private jet for an artist on tour in South Europe. Since a long time now Eurosky is one of the specialist for the transport of artists. Several Boeing 737-800 for the transport of competitors and the staff of a great Sport Event. One the most thrilling operation was to transport an entire family in a Global Express, one of the best Private Jet of the market. 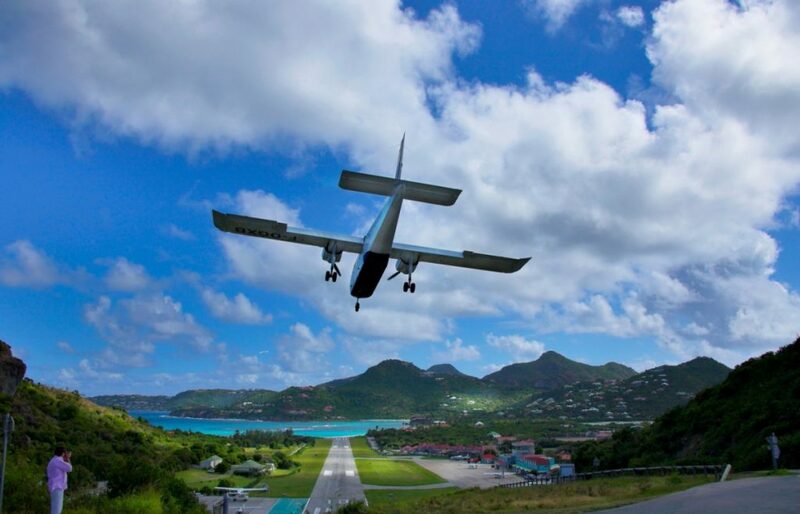 St Barth has no airport that can accept private jets due to its very short runway. For this reason, we landed first in St Maarten with our Global Express and then booked associated services. Due to the lack of the availability at that moment, we had to split the group in two transports: one group with a Turbopropeller Twin Otter DH and one group using a charter boat. For that boat service, we had to pay special attention to the sea conditions to make everyone arrive at the same time at the airport for the return. 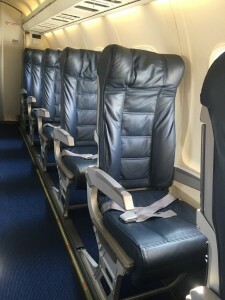 One of the common aspect of those charter flights is once again to gain time and avoid long waiting time at the airports for connections or boarding. We completed our 9th year thanks to our regular clients and to new incomers that have decided to trust in our services. We have chartered all type of flights: flight series for tour operators, Adhoc flights for peak dates, incentive flights, sport flights, private jet flights for CEO, VIP or artists, Last minute flights. It was to expect that the last days of 2016 would be full of flights. In fact we had 12 movements between the NYE and the 2nd of January. Working on those dates is a real challenge that put the light on our job and the importance of working with a good aircharter broker. Those dates are complicated because everyone is paying more attention to the family and Friends gatherings rather than the work. Moreover, less persons are working. Therefore, the bróker as to supervise with more dedication than ever the details of the flights. All our operations went all good thanks to the great job of our expert and duty manager at that moment: Philippe Bina. We started the year 2017 with lots of flights as well. The second week of January, we had 8 flights taking place in 6 different time zones, with flight in several continents: Asia, Europe, south America. Once again, the work of our duty manager was tested due to this huge time difference in between operations ( 9hours of difference between Bogota and Dubai). On the top of that, we had artists that used our jets as a connecting flight out / to a Hub (for using then a long-haul regular flight). We operated a flight from Punta del Este (Uruguay) to Buenos Aires // regular flight to Bogota // and then another jet from Bogota to Cartagena. 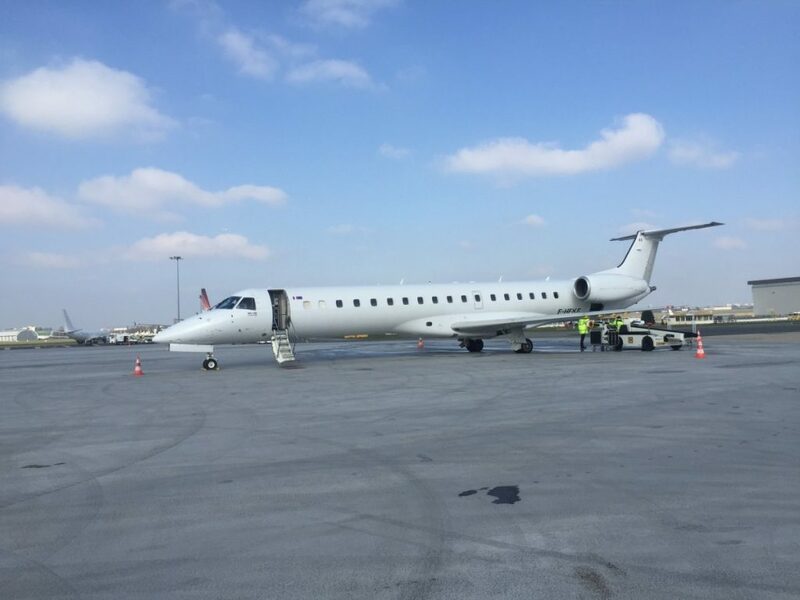 Time is money, and in that case our passengers could relax the maximum they could thanks to the use of “door to door” transfer ( from the door of the jet to the door of the Regular flight) . Our staff did a really good job ( “I ve never went out so fast of this airport of my life” told us one of the passenger in Buenos Aires). All flights went all good. We start this new year 2017 with enthusiasm and good hope to improve again and again our services: we want to remain the first choice for all our clients. The Falcon 8X is the longest never built. The cabin lenght is 13 meters ( more than 1 meter more than the 11,90 m. of the former models like Falcon 7X and Falcon 900). The new flagship of the French firm is 35 % more fuel efficient than any other aircraft of the Ultra Long range segment. The Falcon 8X is the private jet that features the highest level of customization of any large cabin business jet on the market with 30 configurations available. 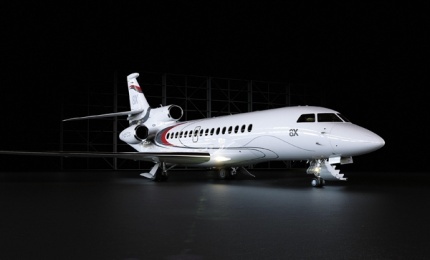 Dassault can be once again proud of its avionics. The Falcon 8X ( like the 7X) will be capable of approaches up to 6 degrees, allowing it to serve challenging airports well known in aviation business: London city airport, La mole ( St Tropez), Aspen colorado USA, Saanen ( Gstaad). June always means a higher density of charter flights: flights with commercial aircrafts as well as flights with private jets. This is a big challenge for us as aircharter broker as there is for sure more traffic in general (regular flights traffic is higher with the beginning of the summer season) which means that there are less aircrafts available on the market, less capacity for airports operations (less slots, less parking) and our attention on each single flight has to be multiplied to care all details and parties involved. If you take for example Ibiza airport, it has around 30-40 movements per day in the Winter, while in the summer it can reach 400 on a week day and up to 600 on a week end. the beginning of several charter flight series for Tour operation and Cruises. Charter flights for football fans during the Euro in France. Last minute flights for top managers suffering regular flights delays and in need for arriving on time to vital business meetings. We can usually take off 90 minutes after confirmation. Numerous flights for artists attending gigs and open air festivals. 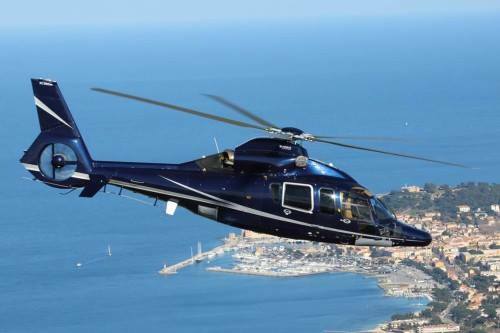 Helicopter transfers in the French Riviera. The most popular aircrafts we have used were the citation jet 2 for business aviation and the Fokker 100 for commercial aviation. In the end we have operated 39 charter flights. We wish you a happy summer and we will be once again at your service to study your new travel projects. May 2016 has been a great Month for Eurosky, we have operated more that 1 flight per day. This month is usually marked by an increasing of the traffic due to the good weather but overall due to the International Events: football finals (Europa League and Champions League are events that trigger the use of all kind of flights: private jets for VIPS, Charter flights for Fans and for teams, we even had a request for a special event for a Sponsor willing to play one of the game on board using the WIFI of a Corporate Jet); Cannes Festival, Formula 1 in Monaco and the Ibiza Openings. Charters are vital for the success of those events: imagine a final without fans at the stadium? Do not hesitate to contact us for your next events during this summer. During the month of March, we had the opportunity to transport the Directors of a famous Spanish Company to their international corporate Event in Paris. The task was quiet challenging as we had a limited budget but a high level of quality requested by the Customer. 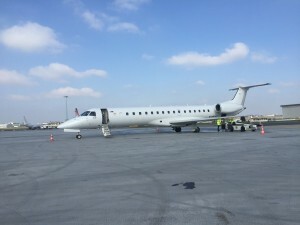 We found a great solution with an Embraer 145 of 48 seats that we used departing out of Barcelona Corporate Terminal for our passengers to gain time during the check in and boarding procedures. We obtained as well to operate from Le Bourget airport in Paris. Our flight-rider was on board during both flight to supervise a smooth operation, a nice catering and cuttlery , french Macarons from La Durée and a Graves Bordeaux from La Cave Vignon Paris* for the inbound flight. Our passengers were in hurry for the return flight to attend the Fc Barcelona game ( against Arsenal for the Champions ). The rain that day slowed a bit Barcelona airport operations (it s not very often that we have rain in Barcelona ) and the handling had issue to get the luggages out of the hold of the Embraer 145….Nothing is impossible for Eurosky’s Flight rider who literally jumped into 2 meters high hold of the aircraft to Unload the luggages of our Passengers to the handling staff and then safely to the terminal. When you charter a flight it’s not only about a price and an aircraft. We do believe that it is all about details, passion and full commitment of your Staff. Fly with Style: use Helicopters.